Summertime fun awaits guests at Walt Disney World Resort with a special package just right for preschool families. Beginning May 30 – Aug. 25, 2016, guests can enjoy a three-night, two-day vacation package with theme park tickets starting at $1,021 for a family of three at one of Disney’s All-Star Resorts. In late spring, Disney’s Animal Kingdom theme park has embarked on a historical expansion offering new nighttime experiences sure to delight little ones. The wondrous new Rivers of Light show will take center stage at the park, along with Kilimanjaro Safaris extending into the evening hours, plus a lively nighttime street party filled with food, song and dance, and lots more. This Summer at Epcot, youngsters can take in an all-new Frozen-inspired attraction called Frozen Ever After boat ride at the Norway pavilion, or meet Anna and Elsa at the Royal Sommerhus. The Force grows even stronger at Disney’s Hollywood Studios with the new Symphony in the Stars Spectacular fireworks show, Star Wars: A Galactic Spectacular stage show, Jedi Training: Trials of the Temple, plus meet and greets with iconic characters like Chewbacca at Star Wars: Launch Bay. 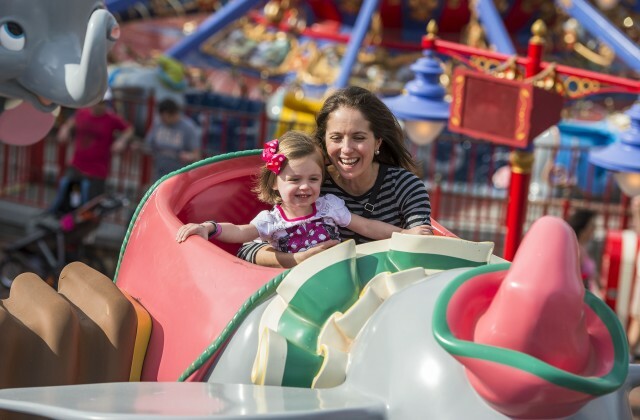 And kids can make magical memories at several Disney Junior experiences at Disney’s Hollywood Studios including Disney Junior Live on Stage, Play ‘n’ Dine at Hollywood & Vine, and Character Greetings with Doc McStuffins, Sofia the First and Captain Jake. Preschoolers can enjoy “Mickey’s Royal Friendship Faire” when it premieres this summer at Magic Kingdom. For the first time, contemporary Disney characters Tiana of “Princess and the Frog,” and Rapunzel of “Tangled” co-star with Anna and Elsa of “Frozen,” and a host of Disney characters take to the grandest stage at Walt Disney World Resort. Plus, there’s don’t miss classics including Seven Dwarfs Mine Train, Buzz Lightyear’s Space Ranger Spin and Under the Sea ~ Journey of the Little Mermaid. Guests can book this offer now through June 10, 2016, for most stays Sunday through Thursday nights. For more information, visit DisneyWorld.com/special-offers.